Different lens colors, lens technologies, and advanced lens coatings can further improve your vision during sports activities. High contrast, color and depth perception and visual clarity all contribute to enhance eye-hand coordination and your responsiveness to motion. Enhanced vision is the prerequisite to improved performance in sports. 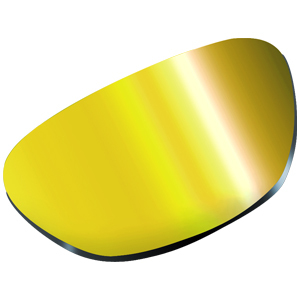 Mirror coatings are effective add-on for high glare situations and cosmetic improvement of your PROGEAR EYEGUARD. They simply reflect away excessive glare when reaching lens surface. There are many colors of mirrors and degrees of density. A heavy mirror will block more light than a thin flash mirror that one can see a person’s eyes through. AR (anti-reflective) coating added to the back surface of the lens reduces glare coming from behind and eliminates reflection of the wearer’s cheeks. Adding an AR coat to the front of a Transition lens will allow the lens to change more quickly by allowing more ultraviolet light to reach the surface of lens to activate color change. 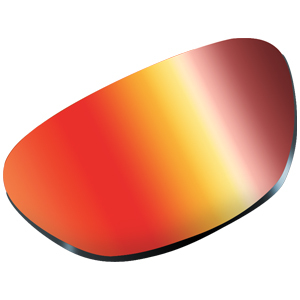 UV cannot penetrate through the entire thickness of lens but totally absorbed before reaching your eye.